Fatty liver diseases happen commonly when sugar balance is damaged. Why? 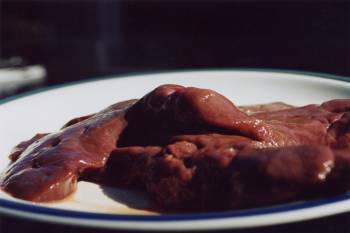 Because, liver is the main organ that plays really essential role in the carbohydrate metabolism in our body. If we have carbohydrate metabolism is damaged, this would mean that all organs, which are important to keep the level of glucose constant will be affected. That’s how the term diabetes liver comes in handy. As you may know, diabetes is a multi-systemic disease that affects the carbohydrate metabolism. That’s why almost all organs in the body are damaged. However, some organs are damaged more (like liver) and others are damaged less. 1. Nonalcoholic steatohepatitis (fatty liver) - is one of the most common complications in the liver in people who had diabetes over 20 years. The good thing about this disease is that it takes really long for the disease to develop and progress. It is very slow process. 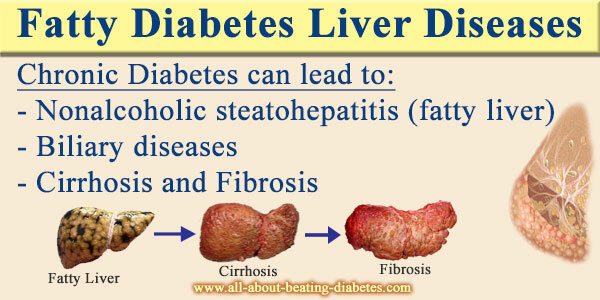 Steatohepatitis stands for a term, where the cells in the liver are full of lipids (fats). The liver is really huge and heavy. The reason for this is the disturbance in the carbohydrate metabolism because the liver is no longer able to secrete glucose. That’s why this glucose stays in the cells. However, cells can not have the glucose in this form for a very long time, transfering the glucose in lipids. Hepatocytes (the cells in the liver) store these lipids within them. The damage is permanent. 2. Biliary diseases are the second most common appearance of the complications related to the liver. The reason why people develop them in first place is because not only the carbohydrate metabolism is damaged. As previously explained, if this metabolic path is disturbed, lipid metabolic path and protein metabolic path will be disturbed, also. That’s why t there is an increased secretion of lipids in the bile. This is the main reason why people develop biliary diseases. If people control their diabetes, they would prevent this from happening or at least make the symptoms lighter. These processes could be reversed with the right and effective therapy. 3. Cirrhosis and Fibrosis are structural alternation in the liver, where the death cells are replaced by connective tissues. These processes can not be reversed. They are a result of severe complication of the diabetes on your liver. To help your liver you can use drugs which are called liver-protectors. These drugs protect the Hepatocytes. Carsyl and Transmetil are part of the liver-protectors with proven effect on the cells.